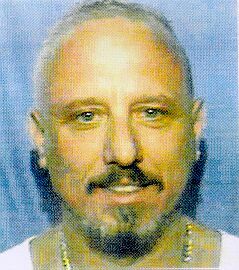 Chicago biker boss Orville (Orvie the Anvil) Cochran of the Outlaws Motorcycle Club pleaded guilty to racketeering offenses this week out of federal court in Milwaukee in a case tied to an indictment from almost two decades years ago. Cochran’s plea deal calls for prosecutors to drop two homicide conspiracies he was charged with taking part in during the 1990s. He faces a 20-year prison term when he is sentenced in December. The 68-year old Cochran spent over a decade and a half on the run, evading arrest from a 2001 bust that brought down Outlaws leaders from Illinois, Wisconsin and Northwest Indiana, the club’s so-called “White Region.” In the 1990s and first part of the 2000s, Cochran was the president of the Outlaws South Side Chicago chapter, known as the “Mother Ship” in club circles for it being the club’s founding fathers. After 16 years as a fugitive, Cochran was apprehended in a suburban Chicago Meijer super store in April 2017 when he was arrested for shoplifting. He’s being held in a Milwaukee federal detention center until sentencing. While the feds have agreed to drop murder charges in the 1994 Michael (Mad Mike) Quale and 1995 Jack (4-By-4) Castle homicides, Cochran is still being looked at for a possible role in the 1999 slaying of fellow Outlaws power, Thomas (West Side Tommy) Stimac. Quale and Castle were both members of the Hells Angels. At the time of West Side Tommy Stimac’s murder, Cochran and Stimac were feuding over a woman and control of the club’s South Side chapter. 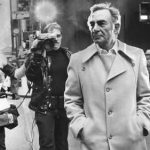 Stimac led the chapter in the 1970s and early 1980s and was responsible for forging long-lasting ties between the Outlaws and the Windy City’s Italian mafia. West Side Tommy was killed on the night of July 27, 1999 at his Lemont Township, Illinois residence, gunned down on his back porch as he puffed on a cigar. Quale headed the Hells Angels chapter in Rochester, New York and was stabbed to death in a brawl at a racetrack. Shot dead behind the wheel of his car on Chicago’s Northside, Castle was part of a growing presence of Hells Angels in Chicago in the early 1990s when the West Coast-based club decided to expand further into the Midwest. The Outlaws and the Hells Angels have been at war since the 1970s. Last month, the FBI sought to question Cochran regarding his knowledge of the Stimac hit, according to an article in The Chicago Sun-Times. Informants have told police that Stimac offered Cochran $10,000 in cash in the spring of 1999 to settle their differences, but Cochran rejected the offer. 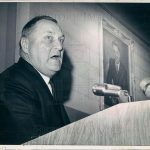 Weeks after the money was offered, Cochran survived an assassination attempt outside the South Side chapter clubhouse, an attack, informants say, Orvie the Anvil insisted came on Stimac’s orders.